United Structural Systems Ltd., Inc. in Cincinnati is a third-generation family owned business specializing in foundation repair, waterproofing and wall realignment. Since its founding in 1995, United Structural Systems, Ltd., Inc. has been committed to providing the highest level of service for foundation repair, waterproofing and wall realignment. We pride ourselves on the professionalism, appearance and expertise of our team. 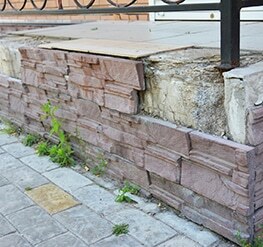 Each of our technicians is trained to know the best solution for your unique foundation issue in your home or business. Different foundations have different problems. Our technicians are trained to handle the unique foundation issues of each property and what is the best system to install. We provide free estimates, offer financing, and make sure our customers understand what is happening to their property at every stage of the project. We will even let you know if your property does not need service.